Have you thought about subscribing to Paper Pumpkin but just haven't done it yet? 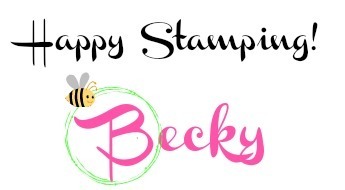 Well, Stampin' Up! is offering a limited number of Paper Pumpkin kits at only $5 to new subscribers! 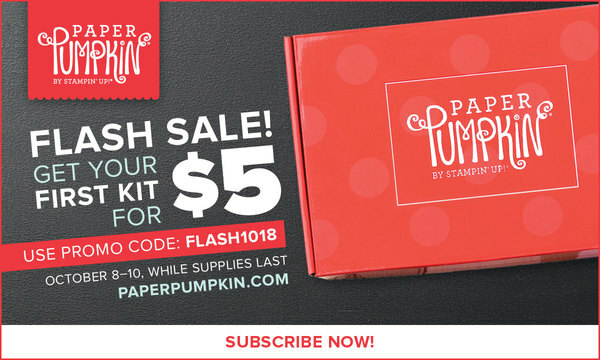 You can subscribe at http://bit.ly/PaperPumpkinSubscribe and use the promo code FLASH1018 to get your first kit at only $5! But it is only as supplies last--there are a limited number of kits at this price! The October kit will not be Halloween (that was the September kit). As a subscriber, you will also be able to purchase available past kits. There are some great kits still available! Subscribe now! Try it, you'll like it! And your first kit is only $5!